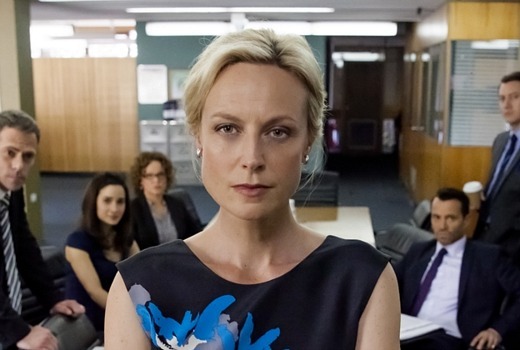 Only a week after its second season finale, ABC has confirmed a third season for Janet King, featuring Marta Dusseldorp. The prospects were good following consistent ratings across its second season, including an intense season finale. An 8 part series for the Crownies spin-off will return in 2017. Janet King is produced for the ABC by Screentime, a Banijay Group company, made with the financial assistance of Screen NSW, with DCD Rights handling international sales. It is produced by Karl Zwicky with Screentime’s Greg Haddrick and the ABC’s Kym Goldsworthy and Alastair McKinnon as executive producers, and Hilary Bonney and Marta Dusseldorp as associate producers. A third season will go into production later this year. I found this season quite boring, don’t think i’ll bother with season 3. I enjoyed Janet King last year but thought this season was poor by comparison. Some of the script writing was terrible and I found the plot thin, transparent and predictable. Also felt the finale was anything but tense as I knew exactly how it would pan out, plus the black and white flashback style sequences felt like something straight out of Home and Away. Probably won’t bother next year. Enjoyed season 2, and agree the finale was a cracker. But it was very convoluted – characters introduced and simply forgotten a week later. The legal side was a bit dodgy, the red herrings were signposted a bit too obviously. Marta Düsseldorp is fantastic in the role, but the writers need to give her more warmth in the character. Agree about the lack of warmth in Marta’s character. Very cold and aloof, as well as being incredibly self absorbed. Needs to be quite a bit more likeable for viewers to fully engage with her. i’m not as excited about this as i was the announcement of season 2. I’ve watched quite a few legal dramas over my time & i have to agree this is not quite as good some others, certainly didn’t live up to season 1 for me anyway. But its ours, its Aussie produced with a great Aussie cast who do hold the show up even when it gets predictable (watch enough of the same genre of any show & they all become so anyway) & i have always been a sucker for Aussie crime/legal drama’s. Yes!!!!!! So excited. Both seasons have been awesome and I can’t wait for more. Hoping we will see more of Janet’s relationship with bianca too. You would expect the ABC to produce a legal drama which has some real credibility, good legal research and a scenario which anyone with any knowledge of the law would believe. Silk on the BBC and ABC was a good example. I’m afraid this show is just not in the same ballpark. Well produced but let down by dull and pedestrian scripts. Renewal seems to be a lost opportunity to commission something a little more exciting. I agree that it wasn’t anywhere near as good as Silk – population, money, blah blah, you know the story. However, I think it’s worth renewing. One thing I would say is that they should get someone else to make the promo for the next series. I nearly didn’t bother with S2 after I saw the ridiculous pantomime performance of the AG offering King the RC, which then cut to a comically stony-faced King and her obviously-meant-to-be serious crew striding purposefully toward the camera. It just reminded me of the cartoonishness of Crownies which I hated.